And finally on the resolutions front, a recap of my Texas bucket list. At least when it comes to this list I don't have to have everything accomplished by the end of the year, since my deadline is "if/when we leave Texas". Nope. If we'd checked the Detroit Tigers' (our team) schedule a little earlier in the year we'd have noticed that they play two series, both in Dallas, against the Texas Rangers. And while the Rangers' stadium isn't exactly right next door, it's an easily drivable distance for our seasoned road-tripping family. Next year. 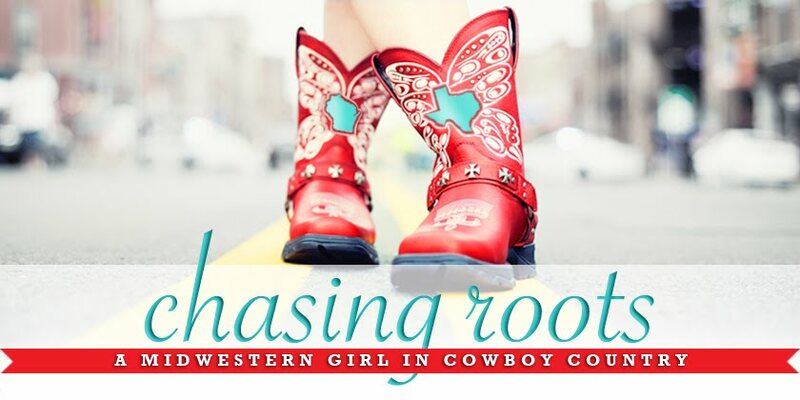 Buy myself a pair of cowboy boots. Sure did. And they're fabulous. Visit the (inside of the) new Dallas Cowboys stadium. Nope again. And this one probably won't happen this year either. You see, I can't stand the Dallas Cowboys (sorry, Texas peeps), so the only time I watch them play is when they're getting their butts kicked by my Green Bay Packers. From what I can tell, these two teams don't play each other this year, at least during the regular season. Swim in the Gulf of Mexico. I wish. Especially today, when the temperatures have surpassed 100 degrees and the only place available to take my kids to burn off steam is the McDonald's indoor Playplace. Watch a football game at Kyle Field (the TAMU football stadium). Watch the TAMU Fightin’ Texas Aggie Band perform. Tickets to a football game at Kyle Field = an opportunity to watch the band perform. Come on, engineers - sell me your tickets! Spend the day playing in the wave pools and riding the water slides at Schlitterbahn Water Park, otherwise known as the “Hottest, Coolest Time in Texas”, in Galveston. It was even better this year. Is this what chaps actually look like? If so, I think it's safe to say that I will never, ever wear a pair. I'm not sure a more unflattering article of clothing (can you even call them clothing?!) exists. 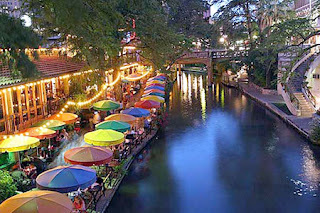 Visit the Riverwalk and the Alamo in San Antonio. Not yet, though we're planning a trip to San Antonio in January. The Newman Singers - the choir in which Tom and I met - are giving a concert at a church in San Antonio, so we're thinking we'll head south for a weekend and try to take in a few of the sights (the zoo, Sea World, the Riverwalk, the Alamo) as well as their concert. Any Newman Singer alumni want to join us? Take a frame-able/frame-worthy photo of either Bluebonnets or Indian Paint Brushes. I've taken a few pictures of individual Bluebonnet and Indian Paint Brush flowers, but I've yet to find a location where the flowers sprawl across the countryside. Texans, where - within driving distance from College Station - can I find such beauty? Visit a Texas zoo and aquarium. Hopefully one of these will be on our agenda in San Antonio. The other will be on my agenda for next year! That wraps up this mid-year review...all in all, my progress hasn't been great, but it hasn't been terrible either. I'm looking forward to cramming in as much fun as I can in the second half of the 2012!